Shopping around to find the newest and hottest crappie fishing lures? Great! Don't miss out on the following tips to help in selecting the best lures for catching crappie, as well as some of your other favorite species of freshwater fish. 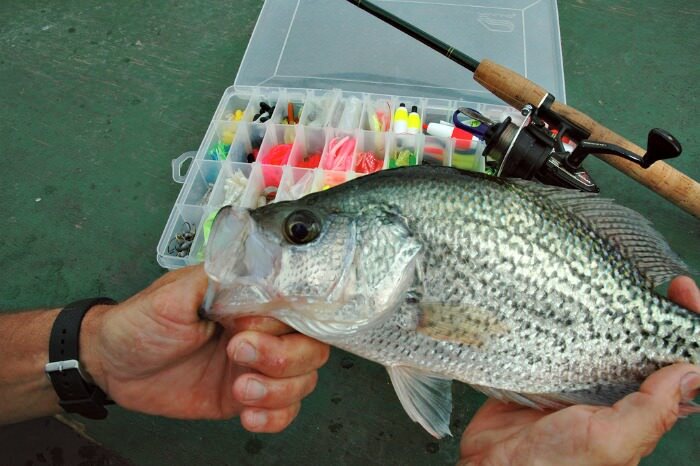 Shop For Crappie Lures Here. Freshwater fishing lures for crappie can easily attract other kinds of panfish and sunfish like bluegill, warmouth, and other small fish such as trout, little stripers, smallmouth bass and largemouth bass. As you can tell, panfish lures are a good little investment. If those darn crappies are being too stubborn to bite, then you can try taking a break from them and look for other fish to catch. Crappie lure kits are also always great to have. They're even cool to give away for fun gift ideas too... that's if you can resist using them for yourself. 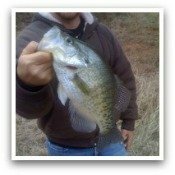 Check out our reviews for more awesome crappie catching baits like the Crappie Magnet lures, Mr. Crappie signature series of Wally Marshall crappie tackle, and different types of crappie fishing crankbaits.